The Irish national anthem is a source of some tension and confusion. At frequent intervals over the past seventy-five years, its text has been attacked as inappropriate. The same objections have been repeated: that its militaristic subject matter and sentiments are irrelevant for a modern, independent, neutral state, or that the text perpetuates attitudes which are an obstacle to reconciliation. Within the past year the leaders of both Fianna Fáil and Fine Gael have expressed a willingness to consider alternatives. Perhaps correspondingly, the anthem is popular and quite widely used in Republican circles, not least in Northern Ireland. The music has also been attacked, in less specific terms, as not being of sufficient calibre for a national anthem. A suggestion which regularly recurs is that there might be a competition to find a new anthem. When the anthem is played on public occasions, those gathered often seem rather unsure as to whether they should sing along. At the Dublin Horse Show, in the presence of the President, those present tend to join in tentatively, humming or singing in a hushed manner as for a lullaby or hymn. The evident disorientation of the Irish football players while the anthem was played at World Cup matches in 1994 caused some acid comment in the media. However among spectators and teams at All-Ireland finals in Croke Park, the enthusiastic rendering of the words in Irish is a traditional high point. Peadar Kearney, an IRB member and the author of many popular political songs and verses, produced the text of ‘The Soldier’s Song’, working in collaboration with Patrick Heeney, who was mainly responsible for the melody. The original text was in English and consisted of three stanzas and a chorus. The words and music may well have been written as early as 1907. The text was first published in Bulmer Hobson’s Irish Freedom in September 1912, with, however, no attribution of author. It became increasingly popular as a marching and rallying song among the Volunteers between 1912 and 1916; it confirmed that they were ‘soldiers’ rather than ‘rebels’. On the belts of their uniforms, the Volunteers wore the words ‘Óglaigh na hÉireann’, ‘Soldiers of Ireland’. By general account it was in the internment camps after the Easter Rising that ‘The Soldier’s Song’ came to be widely used. Before independence the song and music were published on a number of occasions, in Ireland and in the United States, with the consent of Peadar Kearney (Patrick Heeney died in 1911). After the establishment of the Irish Free State, ‘The Soldier’s Song’ continued to be strongly associated with the army. It was played routinely as a ceremonial closing at army meetings and festivities, much as ‘God Save the King’ was used by the British. In the first years of the Free State, there was, however, no officially adopted national anthem. Thomas Moore’s ‘Let Erin Remember’ was often played on formal occasions abroad. ‘God Save Ireland’ and ‘A Nation Once Again’ were also used. Both the government and other bodies recognised the need to designate an anthem formally, not least to discourage renditions of ‘God Save the King’ from unionists in the Free State. The approach of the Olympic Games in Paris in 1924 prompted the Department of External Affairs to ask the office of the President of the Executive Council to take steps to establish an anthem. Various suggestions were made, including a public competition or, alternatively, asking ‘a number of Irish poets and writers’ to submit verses which might be used together with the music of ‘Let Erin Remember’. It was assumed that the text would be in Irish. Despite further prompting, the government took no decisive action, and ‘Let Erin Remember’ was played at the Olympic Games. In this situation, on 12 June 1924, the Dublin Evening Mail announced a competition for a set of verses for ‘A National Hymn to the Glory of Ireland’, occasioned by the lack of any ‘national hymn or anthem for use on ceremonial or convivial occasions’. A prize of £50 was offered for a text, the assumption being that music could be written later. W.B. Yeats, Lennox Robinson and James Stephens were appointed to evaluate the results. On 22 October, the Dublin Evening Mail was forced to publish its committee’s conclusion that having ‘read the poems…we are all agreed that there is not one amongst them worth fifty guineas or any portion of it…Most of the verses submitted to us were imitations of “God Save the King”‘. The competition was opened once again, but now the editors themselves selected six anonymous entries and asked readers to vote for their favourite. On 10 March 1925, Mrs Mary Farren Thomas of Clontarf was awarded the £50 prize for ‘God of Our Ireland’. And here the matter was dropped; what started as a publicity ploy for the newspaper became a burden and an embarrassment. It did however direct public attention to the absence of an accepted anthem and occasioned considerable editorial comment and correspondence in newspapers. The Evening Mail’s distinguished committee of writers expressed the view that ‘national anthems have always in the past been one man’s thought, written out for that man’s pleasure, and taken up by a nation afterwards’. ‘The Soldiers’ Song’ is good enough for the present…The note of defeat or sorrow is absent from it. In the songs of the past, sadness, disappointment and failure had too much prominence. The new spirit was caught by the writer of ‘The Soldiers’ Song’. In the event, a simple decision was made by the Executive Council to adopt ‘The Soldier’s Song’ as the national anthem for all purposes. The reasons for choosing this rather than another air are not recorded, but it seems likely that by this point ‘The Soldier’s Song’ had become so firmly established by custom that replacing it would prove difficult, and William Cosgrave is on record as wanting to retain it. The decision was not accompanied by any publicity, and was announced only by means of a brief answer to a backbencher’s question in the Dáil on 20 July 1926. The timing was convenient: it came shortly before that year’s Dublin Horse Show. The Horse Show was mainly a domestic rather than an international event before 1926. ‘God Save the King’ had formerly been an important feature of the ceremonies. W.B. Yeats’s sisters, attending in 1921, noted that ‘there was no National Anthem—it was significant of the changed public opinion in Ireland as regards England’. In 1926, however, invitations were issued to foreign teams, including one from Britain, and the event was bigger and more festive than ever before. When the various teams arrived at Kingstown, they were met by bands playing their particular national anthems. The Irish Times reported that ‘for the first time the tricolour flag of the Free State floated over the Governor General’s box on the grandstand’, and noted that when he visited the show ‘The Soldier’s Song’ was played. Similarly, national anthems were played as teams were led onto the field for the culminating international competition on Friday 6 August. Foreign visitors cannot have realised how electrical was the atmosphere when the Band of the Free State Army heralded the teams with the strains of their national anthems. They cannot have known how thousands of Irish hearts throbbed to a dear and unfamiliar music, and greeted with a new respect music which till then had the most painful associations for them. Nor could foreigners have guessed that ceremonies which, to them, were ordinary exchanges of courtesy represented for thirty thousand Irishmen and Irishwomen a whole precious catalogue of hardly-won concessions and tolerances, or that on Friday evening the Free State Army became suddenly a national army in a sense hitherto unconceived? There was history made yesterday in the jumping enclosure at Ballsbridge. The relationship between the anthem and the office of Governor General nevertheless became problematic. When James McNeill (who succeeded Healy) attended a Trinity College garden party in June 1928 at the invitation of the Provost, he was met by a British Legion band playing ‘God Save the King’. Such practice was not unusual in other Dominions, but McNeill asked the advice of the Executive Council on the matter and was advised that the government considered that only ‘The Soldier’s Song’ should be played for the Governor General. Accordingly, in 1929 McNeill declined to attend the college races during Trinity Week when he was unable to obtain a guarantee that ‘The Soldier’s Song’, not ‘God Save the King’, would be played. The matter attracted press attention and led to a diplomatically-worded exchange between representatives of the Free State, the Dominions Office in London, and the king. No one seems to have wanted a show-down on the matter and the Free State practice remained unchanged. After Fianna Fáil succeeded to power in March 1932, McNeill fell out with Éamon de Valera, whose express aim was to abolish the office of Governor General. As one strategy, de Valera refused to allow army bands to play the national anthem in the presence of the Governor General. This situation caused repeated problems for McNeill and contributed to his giving up his office in October 1932. De Valera’s appointee, Domhnall Ó Buachalla, went along with reducing the office to virtually nothing, paving the way for its final elimination in the 1937 constitution. The relationship between the text of Kearney’s ‘The Soldier’s Song’ and the Irish national anthem is still complex. Not long after adopting it, the Executive Council embarked upon the practice of regarding only the chorus as the anthem. The Executive Council, in March 1929, authorised Colonel Fritz Brasé, director of the army band, to write a suitable arrangement which was approved and published the following July. Brasé’s arrangement consisted of the refrain only and, by implication, from this point on only the chorus of ‘The Soldier’s Song’ constituted the national anthem. At the same time the title of the anthem was settled. Earlier publications had given various titles, including ‘A Soldier’s Song’, ‘The Soldiers’ Song’, and even ‘Soldiers of Erin’. It was however decided to use the title ‘The Soldier’s Song’. These official positions have been confirmed by successive governments in their correspondence, despite the fact that the other verses of the song, and variant titles, are frequently printed by non-official sources. Today, relatively few people can ever have heard the music of the verses of ‘The Soldier’s Song’ played in public in Ireland, although the American bands which played for the World Cup matches in the United States in 1994 also played, once through, the music of the verses, contributing to the apparent confusion of the players on the field. Given the manner in which the anthem was adopted in 1926, and later decisions taken about it, with a minimum of publicity and a paucity of details announced, it is probably not surprising that so much public confusion persists. Radio Éireann used the anthem for its closedown from its inception in 1926, and from 27 March 1932, Dublin theatres and cinemas established the practice of playing the anthem at the close of performances, at least partly at the instigation of a Republican group called Clann na nGaedael. 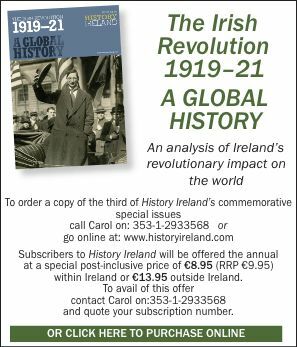 Neither Peadar Kearney nor the heirs of Patrick Heeney had ever been compensated by the State for the use of ‘The Soldier’s Song’ as the anthem, although royalties had earlier been paid to Kearney by various publishers of the text. Kearney, who lived in extremely modest circumstances, and was understandably dissatisfied with being ignored, now threatened action against Dublin theatres, against Colonel Brasé, and against the Post Office (which administered Radio Éireann) for playing the song without providing him with any royalties. He was joined in this by Michael Heeney, Patrick’s brother. On 31 March 1932, a memo from the Department of the President stated unequivocally that the State had adopted the music and the title but not the text of ‘The Soldier’s Song’ as the national anthem, with the implication that no compensation was due to its author. No explanation of this statement was provided and it is not clear whether it actually represented an accepted position. Peadar Kearney subsequently claimed that, while he had written the words, the music was a collaboration between himself and Patrick Heeney. In any event the government decided to obtain copyright of both, so that ‘The Soldier’s Song’ could be freely available for general use. The copyright was accordingly purchased from its owners for £1,000 on 10 October 1933. Changes in copyright law in 1959 necessitated its purchase again, for £2,500, in March 1965. The 1930s was a period in which definition and consolidation of national feeling was high on many agendas, and the function of symbols of national identity was taken seriously. Various writers urged that the national anthem be used more extensively, especially in schools. Its status in schools was the subject of questions in the Dáil in both 1933 and 1934. In fact the anthem has never been part of the prescribed curriculum. At best, it has been a ‘suggested’ topic, although it seems to be widely taught in some form. In spite of uncertainties about official policy, the evidence does suggest that during the 1930’s, the public use of the anthem became increasingly common. It is also during this period that one first finds significant reference to use of an Irish-language text. In the years after 1916, several writers produced Irish translations of ‘The Soldier’s Song’. The translation which eventually became generally known and used was written—perhaps as early as 1917—by Liam Ó Rinn, later the Chief Translator to the Oireachtas. This translation was, notably, first published in the Free State army magazine An tÓglach (successor to the Volunteers’ journal of the same name) on 3 November 1923. While reporting extensively on internal army matters, An tÓglach in this period also reflected a concern for Gaelicising the army and for promoting cultural awareness generally, in accordance with the policies of the Minister for Defence, Richard Mulcahy. At the same time, the army’s resolutely non-political stance was being established. Ironically, Ó Rinn’s translation of ‘The Soldier’s Song’ later acquired some unintended political overtones. There is little evidence of any widespread use of an Irish language text in the 1920’s. The anthem was however being sung in Irish at GAA events as early as 1931 and also in 1932. The GAA’s journal, An Camán, reported that at the 39th Annual GAA Congress on 16 April 1933 ‘it was urged that Irish should be used to the fullest possible extent in the work of the Association’. On the same occasion, it was decided that the national flag should be displayed at all matches, and ‘the proceedings…were brought to a close with the singing of the national anthem’. At the end of 1933, An Camán printed the text of Ó Rinn’s translation, with the title ‘Amhrán na bh’Fiann’, perhaps as a ceremonial close to the year. Throughout the 1930’s, GAA publications record frequent use of the anthem, and they continue to encourage the use of Irish, but both English and Irish versions of the anthem were still used. It is not entirely clear by what process the Irish language text eventually took over completely. Today the original English language version, although sometimes printed, is virtually never heard. Unsuspecting references to ‘the English translation of Amhrán na bhFiann’ are fairly common. While most people today would probably say that they learned the anthem at school, many also report that they have little understanding of the meaning of the words. The Andersonstown News of Belfast recently published a phonic transcription of the Irish text for the benefit of non-Irish speakers. Ó Rinn translated the first line of the chorus, ‘Soldiers are we, whose lives are pledged to Ireland’, as ‘Sinne fianna fáil, atá fá gheall ag Éirinn’. Before the Treaty, the Volunteers had identified themselves in Irish as descendants of Finn Mac Cool’s warriors, the Fianna, and Inis Fáil was believed to be an old name for Ireland: hence ‘Fianna Fáil, the Soldiers of Ireland’. The Volunteers wore insignia incorporating the letters FF. These insignia were carried over and used by the National Army after the establishment of the Free State, and are still used on army uniforms today. Thus Ó Rinn’s rendering of Kearney’s ‘soldiers’ as ‘fianna fáil’ is an apt reference to the group which adopted the song, and, in the context of the early publication of his translation in An tOglach in 1923, the first line constitutes a reference to the continuity between the Volunteers and the Free State army. This translation was made well before Éamon de Valera’s founding in 1926 of the political party which was also given the name Fianna Fáil. Understandably de Valera likewise wished to claim continuity with the Volunteers. That he would at that point have been familiar with Ó Rinn’s translation of Peadar Kearney’s song seems doubtful, and ‘The Soldier’s Song’ was still being sung almost exclusively in English when the Cosgrave government adopted it a few months after the founding of de Valera’s party. This sequence of events is not always apparent to later generations, and more than one commentator has assumed that de Valera got an anthem written to order, giving his political party a special sanction in the opening line. At best, the first line, however innocent its origin, came to seem as awkward. The issue was the subject of a leader in the Evening Herald of 12 July 1954, which accused de Valera of changing the Irish text to benefit his own party. This editorial misapprehension was corrected by a letter from Aindrias Ó Caoimh published on 15 July, but the newspaper did have some basis for the assumption that a change had been made: an alternative version of the first line had in fact been in circulation, motivated by the desire to avoid associating the anthem with one political party. In 1938, Browne and Nolan had published the song with an Irish language text (of all verses and chorus) accompanied by ‘sol-fa’ notation. It was described as ‘Amhrán Násiúnta na hÉireann’ but titled ‘Amhrán na Laoch’. The text was essentially Ó Rinn’s, and he, Kearney and Heeney were given full credit in the accompanying notes, but the first line of the refrain read ‘Sinne laochra fáil’ rather than ‘Sinne fianna fáil. As ‘laochra’ is generally translated as ‘warriors’, this translation seemed, innocuously enough, to neutralise the political issue. This variant gained some currency in both political and non-political circles, without however being generally adopted. It is still in some use today, especially among Republicans. The problem of an official Irish text of the anthem was taken up in 1958 in a memo by the Secretary to the Department of the Taoiseach, Nicolás Seán Ó Nualláin. He noted that no Irish text had ever officially been adopted, and recommended that the cabinet—as it had done in the initial adoption of the anthem—should quietly adopt an official Irish text. At the same time it would be possible to substitute ‘laochra fáil’ for the embarrassing ‘fianna fáil’. No definitive action was taken by that or any subsequent government on the question of an official Irish text—indeed, from 1932 there remains the question of whether there is even an official English text. Government officials have co-operated with publishers printing bi-lingual texts for the anthem, for example in reference works. The Stationery Office publishes a score (of the refrain) for use by bands, but no text. However, the Department of Foreign Affairs publication Facts About Ireland gives the music and words of the refrain in both languages, and credits both Kearney and Heeney, but not Ó Rinn, whose authorship of the Irish text is now almost forgotten. Perhaps no government has ever been very enthusiastic about ‘The Soldier’s Song’. The policy seems to have been to avoid drawing attention to it as much as possible, perhaps because of the history of controversy associated with it. Unlike the flag, it is not mentioned in the constitution. Is it helpful or appropriate, however, for successive governments to make it so difficult for citizens and others to know exactly what the anthem is, what its words are, and in what language? Ruth Sherry is Professor of English in the University of Trondheim, Norway. S. de Burca, The Soldier’s Song: The Story of Peadar Ó Cearnaigh (Dublin 1957). L. Bryson and C. McCartney, Clashing Symbols: A report on the use of flags, anthems and other national symbols in Northern Ireland (Belfast 1994). B. Sexton, Ireland and the Crown, 1922-1936: The Governor-Generalship of the Irish Free State (Dublin 1989).